A Bedouin camp near the illegal settlement of Maale Adumim in the occupied West Bank. The state of Israel has postponed this week its decision regarding the fate of a primary school in the Bedouin village of Khan al-Ahmar in the occupied West Bank, which has been threatened with demolition by the Israeli government for years. The school in Khan al-Ahmar, which was partially funded by an Italian organization and the Italian government, has long been slated for demolition by the Israeli government. The announcement came days after a European Union delegation visited Khan al-Ahmar, which, like the nearby Abu Nuwwar community, is under threat of relocation by Israel. Both are located in the contentious “E1 corridor,” set up by the Israeli government to link annexed East Jerusalem with the mega settlement of Maale Adumim. In August, after reports emerged that the Israeli prime minister's office ordered the school in Khan al-Ahmar to be closed down, the Israeli Supreme Court ordered the state of Israel provide a formal opinion on the school the following week. More than two months later, the Israeli NGO Rabbis For Human Rights speculated last week that they believed Israel was avoiding making a decision as a result of the immense international pressure not to demolish the school, built of mud and tires, which has become one of the most high-profile targets of Israel's massive demolition campaign against Palestinian homes and livelihood structures. “Is Palestinian education a threat to Israel?” Dajani asked in the statement. At least 780 Palestinian-owned structures in Area C have been destroyed by Israel since the beginning of the year as of mid-October, compared to a total of 453 structures over the entirety of 2015, according to the United Nations. Earlier this month, Israeli authorities demolished eight homes in Khan al-Ahmar, leaving 28 Palestinians, 18 of them minors, homeless. 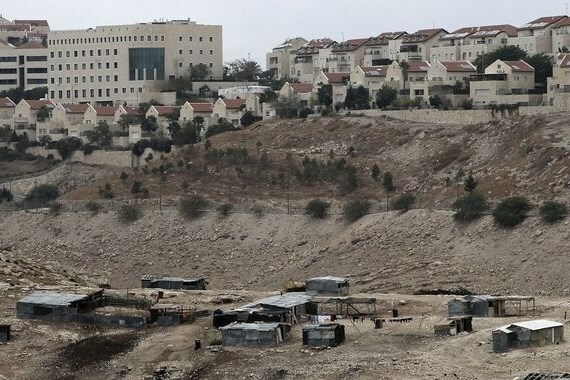 Rights groups and Bedouin community members themselves have sharply criticized Israel's relocation plans for the Bedouin residing near the illegal Israeli settlement of Maale Adumim, claiming that the removal would displace indigenous Palestinians for the sake of expanding Israeli settlements across the occupied West Bank in violation of international law. Khan al-Ahmar is one of several Bedouin villages facing forced relocation due to plans by Israeli authorities to build thousands of homes for Jewish-only settlements in the E1 corridor. Settlement construction in E1 would effectively divide the West Bank and make the creation of a contiguous Palestinian state -- as envisaged by the internationally backed two-state solution to the Palestinian-Israeli conflict -- almost impossible. Israeli activity in E1 has attracted widespread international condemnation, and Palestinian President Mahmoud Abbas has in the past said that "E1 is a red line that cannot be crossed." Israel rarely grants Palestinians permits to build in the West Bank, including East Jerusalem, although the estimated 550,000 Jewish Israeli settlers are more easily given building permits and allowed to expand their homes and properties. Nearly all Palestinian applications for building permits in Area C -- the 60 percent of the West Bank under full Israeli military control -- are denied by the Israeli authorities, forcing communities to build illegally. 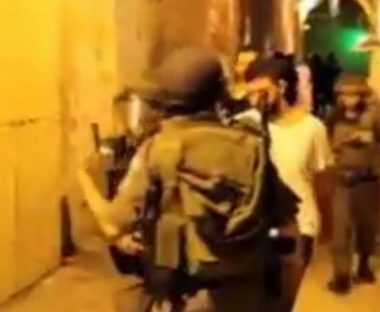 Israeli soldiers invaded, on Thursday, the southern area of Hebron city, in the southern part of the occupied West Bank, and kidnapped one Palestinian. The soldiers also invaded an area east of Tubas, while the navy attacked fishing boats in Gaza waters. 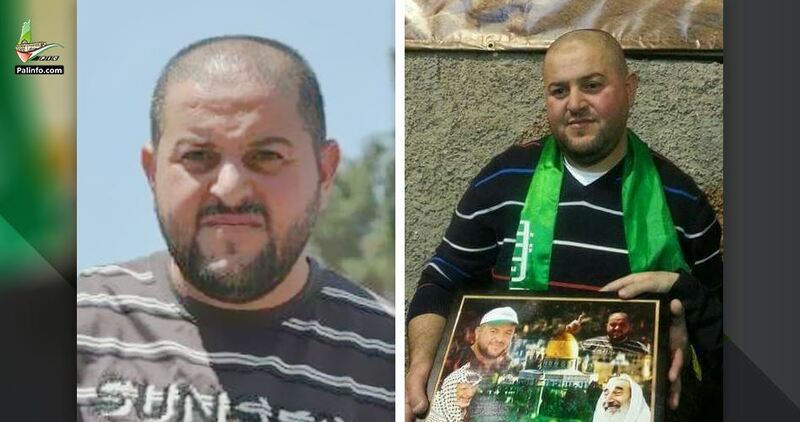 The Hebron office of the Palestinian Prisoners Society (PPS) said the soldiers invaded homes in the southern area of the city and kidnapped Ayman Abdul-Hamid Taha, 33. In addition, the soldiers invaded Khallet Hamad area, in the West Bank’s Northern Plains area, east of Tubas, and threatened to demolish newly constructed structures, even tents, installed in place of structures the military demolished more than a month ago. Aref Daraghma, an expert on Israeli settlements file, said illegal Israeli settlers recently invaded the area were the demolished structures once stood, and started constructing a new outpost. In addition, Israeli navy ships fired many live rounds at Palestinians fishing boats, close to the coast in the northern part of the Gaza strip. The Israeli police forces carried out since the early morning hours of Wednesday a large-scale raid and arrest campaign throughout occupied Jerusalem. At least seven apartments were also demolished in the city. In the Old City, the so-called Israeli border guards stormed and violently searched a local home. Two young men were summoned for investigation during the raid. A young man was arrested from his house in Silwan town and taken for investigation for unknown reasons. A young woman was also detained near Bab al-Amoud area. Meanwhile, Israeli media sources claimed that two Israeli buses were stoned near al-Tur neighborhood. Similar stone-throwing attacks were allegedly reported in Silwan and the Old City, the sources added. Along the same line, Israeli forces demolished seven Palestinian-owned apartments including four in Silwan town and three others in Beit Hanina under the pretext of being built without permit. Tensions have been running high in the occupied Palestinian territories over the Israeli escalated violations in al-Aqsa Mosque. 257 Palestinians were killed by Israeli gunfire since the outbreak of the events in October 2015. 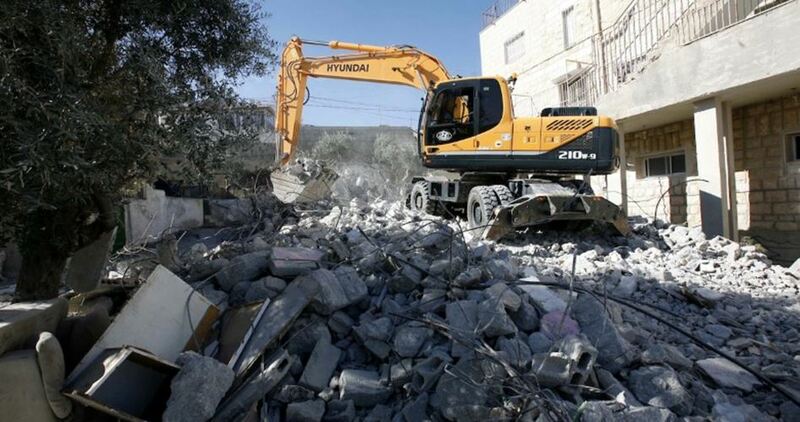 The Israeli occupation authority (IOA) demolished Wednesday a Palestinian-owned building in Silwan town, south of al-Aqsa Mosque in occupied Jerusalem, under the pretext of being built without permit. Local sources affirmed that the demolished building comprises four apartments owned by Jaafra family. 30 Family members were left homeless following the demolition process, the sources added. Israeli municipal crews stormed the town late yesterday and surrounded the house after closing all roads leading to it. Israeli forces and military bulldozers rushed to the area at dawn today and started the demolition process. The building’s owner affirmed that he has submitted construction permit requests more than once over the past 11 years; however, Israeli authorities deny construction permits for Jerusalemites. The Israeli police forces stormed at dawn Tuesday the slain Palestinian Musbah Abu Sbeih’s house in al-Ram town, north of occupied Jerusalem. Local sources affirmed that Israeli police stormed and took photos of the house as a prelude to punitively demolish it. Abu Sbeih was shot and killed two weeks ago for carrying out an anti-occupation attack in occupied Jerusalem. Since then, his family was subjected to systematic punitive measures including threats and arrests as part of Israel’s collective punishment policy against Palestinians. Dozens of extremist Israeli colonists invaded, on Tuesday, a Palestinian land in Khirbit al-Himma, in the West Bank’s Northern Plains, and installed tents, after recently illegally occupying the land, and establishing a new outpost. 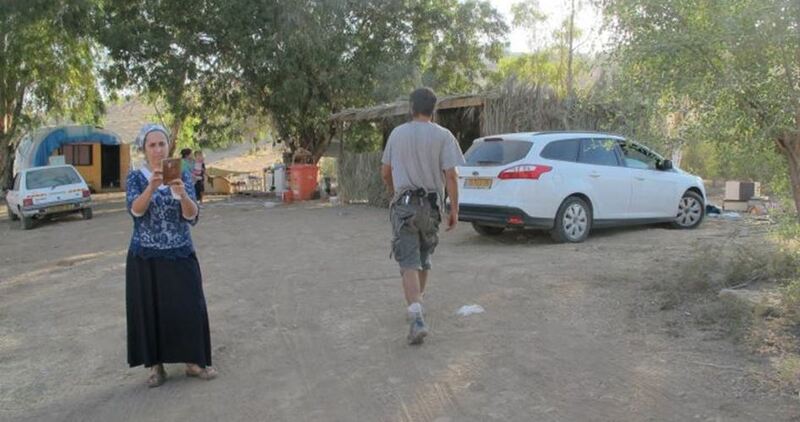 Mo’taz Bisharat, who monitors Israel’s illegal colonist activities in Tubas Governate, said nearly 30 Israeli colonists invaded the land in Khirbit al-Himma, and installed four tents in a newly illegally established outpost. Bisharat added that, on Tuesday morning, the Israeli assailants closed the main road leading to Khirbit al-Himma, with rocks and tires, and prevented the Palestinians from entering or leaving it. The Israeli Occupation Forces (IOF) stormed Monday morning the slain Palestinian Muad Jabarin’s family house in Seir town east of al-Khalil. 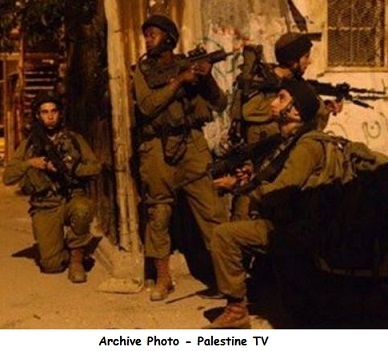 Eyewitnesses told PIC reporter that Israeli forces stormed the house and carried out a violent search operation. The family’s vehicle was also confiscated during the raid without any known reasons, the sources added. Muad Jabarin was shot and killed last January at an Israeli military checkpoint east of al-Khalil for allegedly planning to carry out a stabbing attack. The Israeli occupation forces (IOF) on Sunday stormed Bab al-Rahma Cemetery adjacent to the holy al-Aqsa Mosque in Occupied Jerusalem. 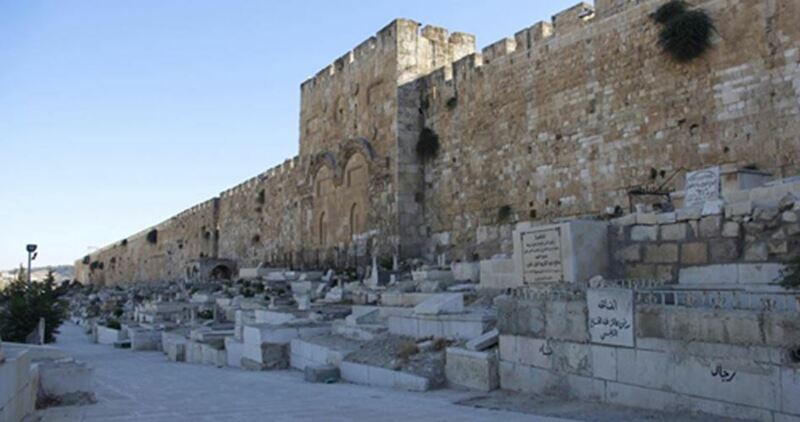 A PIC news correspondent said the IOF, escorted by the Antiquity Authority staff members, broke into the Bab al-Rahma Cemetery, smashed several tombs, and exhumed others. 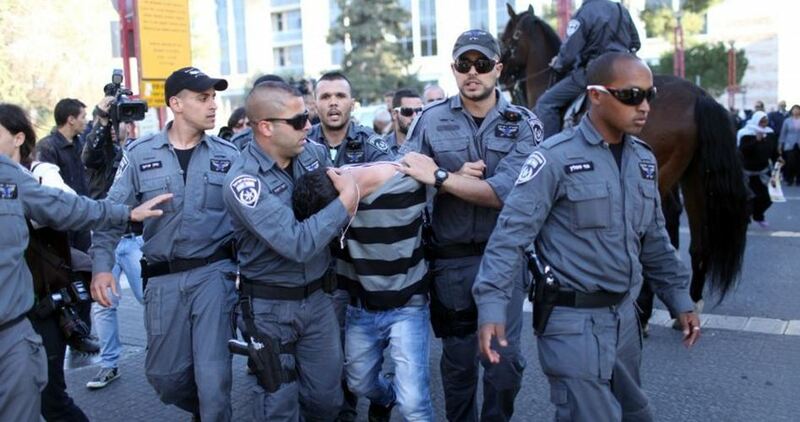 The occupation soldiers detained the member of the of the al-Aqsa personnel Samed Asila and released him sometime later. Israeli attacks on Muslims’ cemeteries and mosques, among other holy sites, have seen a striking upsurge over the past few years. A new illegal outpost is being established by Jewish settlers in the northern Jordan Valley on privately owned Palestinian land, according to Haaretz newspaper. The outpost is located in close proximity to the illegal outpost, Givat Salit, which was created in 2001, the newspaper said Sunday. An armed man identified as “Tzuriel” and called by his friends as the chief of the new outpost refused to answer questions on the matter from a Haaretz reporter who visited the area last Thursday. Although the coordinator of government activities in the occupied territories claimed on Thursday that a stop-work order had been issued against the outpost and that construction at the site was halted, a visit by Haaretz on the same day revealed that construction was ongoing. The area in which construction is being carried out have expanded to an adjacent hilltop and included the deployment of a water pipe and a livestock pen. 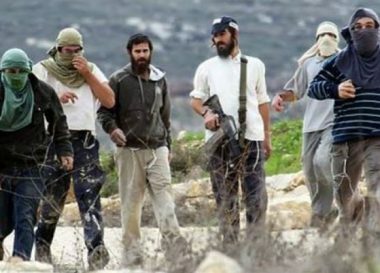 More than a week ago, the settlers at the outpost escorted by their armed chief started threatening Palestinian shepherds, and preventing them from bringing their flocks to their regular grazing lands on the hilltop. On September 27, shortly after the outpost was established, armed elements of the Israeli civil administration demolished Palestinian crude homes belonging to the family of Ayoub and displaced the residents, who have lived and worked as shepherds at the site for many years. Israeli soldiers invaded, on Sunday at dawn, several districts in the occupied West Bank, searched many homes and kidnapped at least six Palestinians. The soldiers also confiscated large sums of cash in Qalqilia and Hebron, and kidnapped 20 Palestinians in occupied East Jerusalem. The Tulkarem office of the Palestinian Prisoners Society (PPS), in the northern part of the West Bank, said several army jeeps invaded Anabta town, east of Tulkarem, and kidnapped one Palestinian, identified as As’ad Hazem Foqaha, 18. The soldiers also invaded Qalqilia city, in the northern part of the occupied West Bank, and kidnapped Suleiman Abu Shehab. Also in Azzoun, the soldiers and Israeli security officers confiscated large sums of cash allegedly used to finance the Hamas movement. The soldiers also invaded the al-Yamoun town, west of the northern West Bank city of Jenin, and kidnapped Khaled Ahmad Houshiyya. 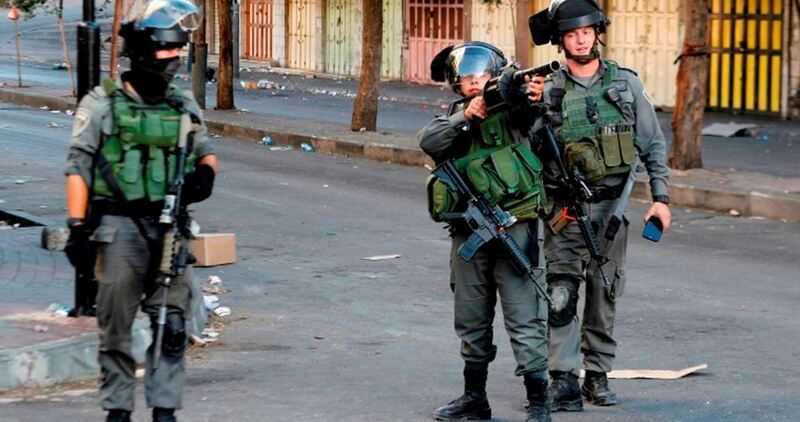 In Ramallah, the army invaded Beit ‘Or at-Tihta village, west of Ramallah, and kidnapped Mohammad Wajeeh Othman. In Hebron, in the southern part of the West Bank, the soldiers invaded Sa’ir town, east of the city, and confiscated money from a home, after invading and searching it.